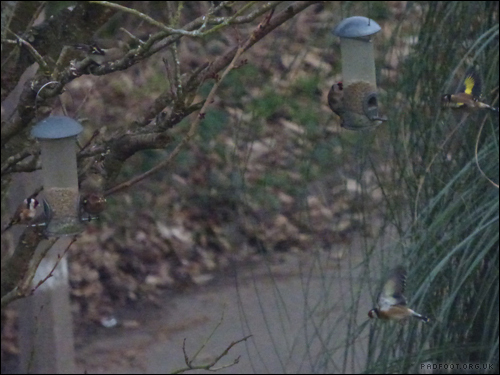 200 photos later, and I have a few with the Goldfinches mid-flight! The photos came out darker than I’d planned, but I’m just pleased to have taken some photos where the birds are actually visible, and not a blurred ghosted image! This entry was posted in Dragon Goes Wild and tagged #StayWild, Flying, Goldfinches on January 26, 2017 by Dragon. 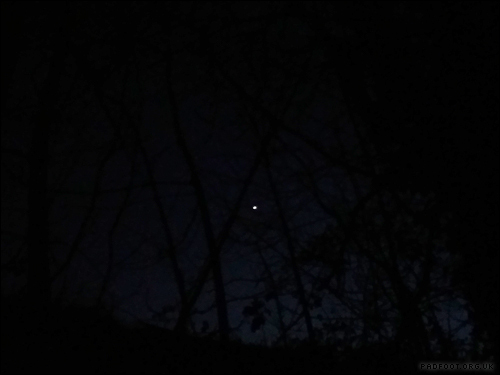 The skies are surprisingly clear, giving a great view of Venus through the trees. Even more surprising, this photo was taken on my phone rather than my camera! This entry was posted in Dragon Goes Wild and tagged #StayWild, planets, Venus on January 20, 2017 by Dragon. 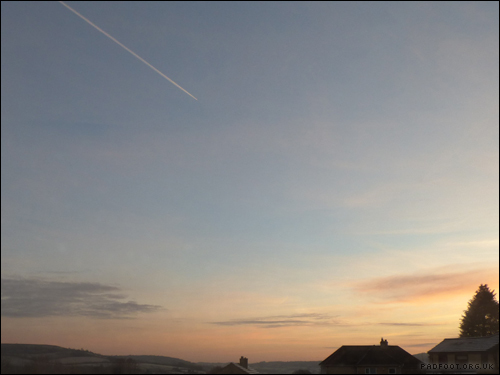 Well, not really “early” morning for most people, but it’s certainly morning sunlight! The contrail from the plane even looks like it’s glowing. 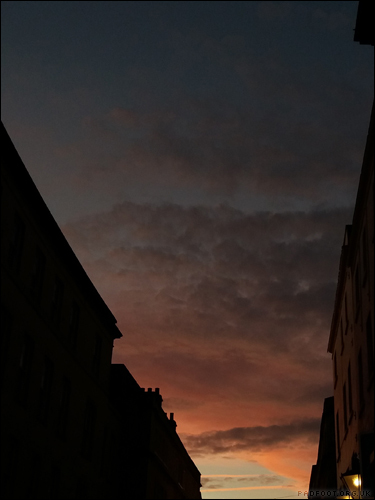 This entry was posted in Dragon Goes Wild and tagged #StayWild, cloudscapes on January 6, 2017 by Dragon. 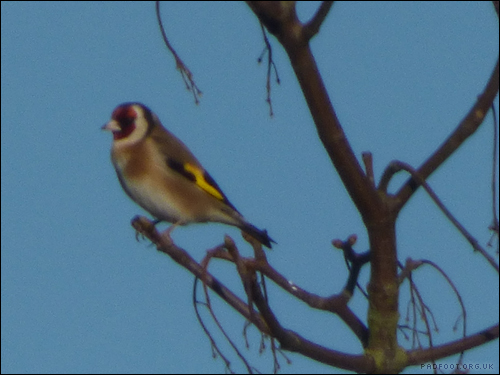 The Goldfinches are proving to be regular visitors to a few seed feeders in the neighbourhood, but this one was quite happy to perch in the trees and just watch the others fighting over the seeds. 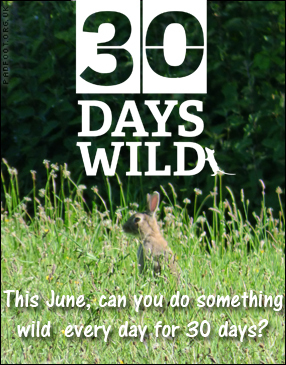 This entry was posted in Dragon Goes Wild and tagged #StayWild, 30 days wild, Goldfinches on January 5, 2017 by Dragon. The Christmas Cactus flowers are much more flamboyant than the Easter Cactus flowers – the only disadvantage is the amount of pollen that falls onto the shelf once the flowers go over! 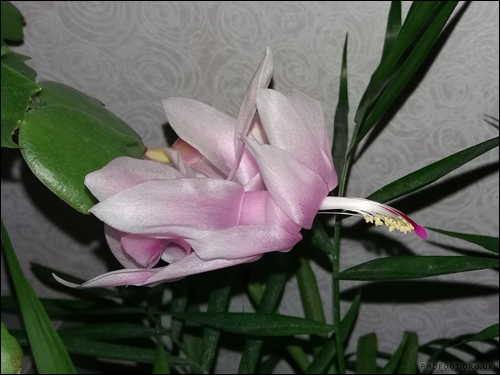 This entry was posted in Dragon Goes Wild and tagged #StayWild, Christmas Cactus on January 4, 2017 by Dragon. 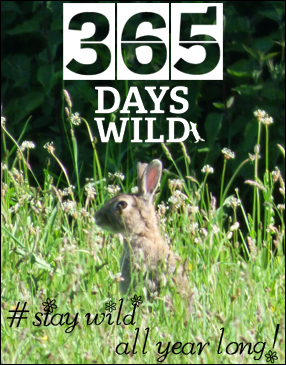 This entry was posted in Dragon Goes Wild and tagged #StayWild, Sunset on January 3, 2017 by Dragon.